My aquarium filters are having issues keeping up with the massive amounts of fish waste produced by the blue tilapia in my fish tank. I have 20 fish in a 75 gallon tank with 2 filters. You would think the filters I have would provide more than enough filtration as they are both rated for over 75 gallon tanks, however that is not the case. I figured I could retrofit my current filter into a small aquaponics system. 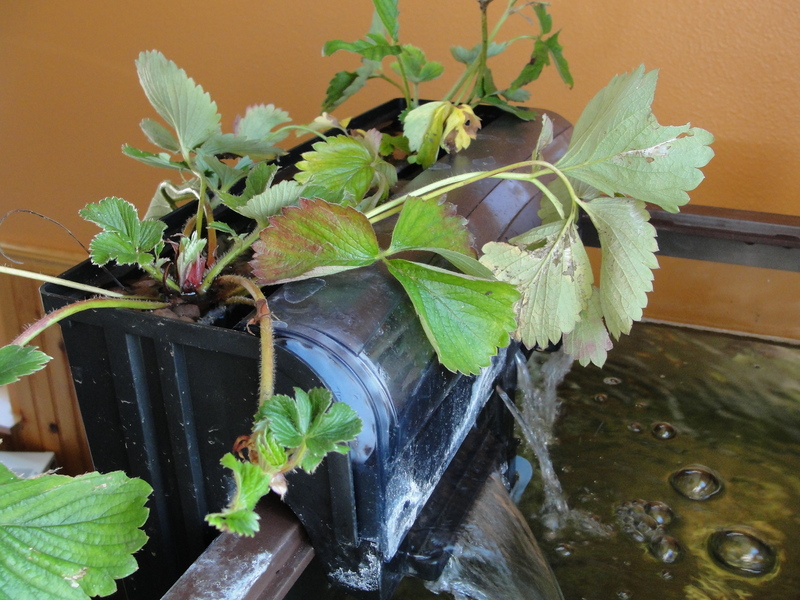 Basically this was a way to use the technology of aquaponics without having to buy any additional components for my system. I created a screen piece out of 1/8” hardware cloth around the impeller then added hydroton to the filter. I selected a few strong plants with deep root systems from my garden, rinsed the roots, and then planted them directly into the hydroton. I then added about 20 redworms from my compost pile into the mix. The system has been running for about 2 weeks now. The water appears to be clearing up and the plants have started blossoming. There are some signs of the leaves curling inward which is an indication of overwatering however I can’t set this to flood and drain as the filter doesn’t completely drain itself when it shuts off (otherwise I’d just put the filter on a timer). Do you have an update on this? Tried other plants? Seems like a good idea, lettuce would probably do well. 🙂 Could a canister filter be modified to do this as well? Thanks for sharing! I definitely have an update. 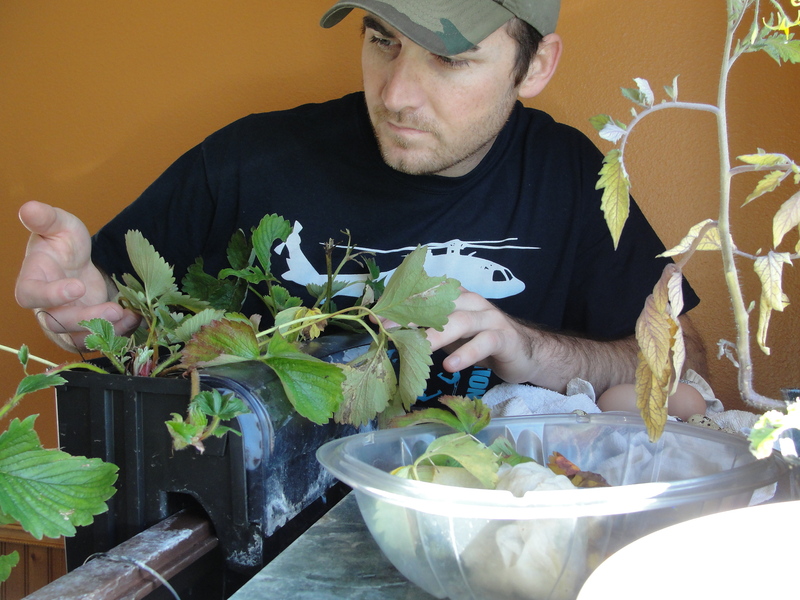 It worked great for the larger strawberry plants with established root systems however the smaller plants didn’t do well at all. I think lettuce would work well however I did not try it in this experiment. In hindsight I would make the screen better and more permanent. As for canister filters I don’t think that would work because they require a seal to make the suction happen. There is a third option which is to have another tank in the loop that acts as a refugium for filtering the water. I opted out of this as my living room looked awkward enough with a aquarium full of edible fish. I have since removed that filter as I was also having an aphid issue… again, so I just replanted the surviving strawberry plants in the garden. I hope that helped. Thank you for your comment!